Love the unique style and the material looks like I paid a lot for this coat. Sleeves are a little bit longer on me ( I 'm petite) but overall this is a good buy. 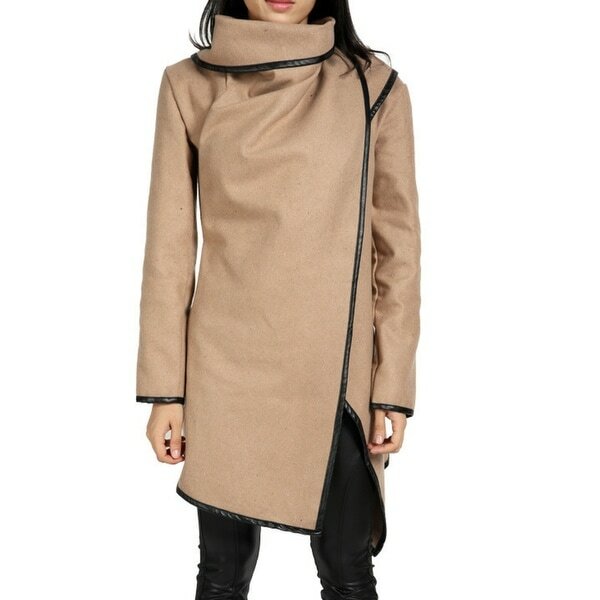 This coat is essential autumn and winter coat, leather trim with irregular design makes it look even more different. Put on it will look more elegant.